Any CPA firm can promise you accuracy and a long laundry list of services that don’t mean anything if they don’t apply to you personally. At Plumb & Associates, we are constantly upgrading our services through continuing education, seminars, IRS training and professional exchanges with the leading tax and financial minds in the nation. If we don’t know the answers, we’ll find them for you, and we won’t waste your time or make you feel overwhelmed in the process. Everyone likes to complain about taxes, but we can help you feel a lot less stressful about yours with two simple words: tax planning. We take the time to get to know you so we can carefully assess your needs and help you set realistic goals. It starts with our very first meeting. We have all the tools you need to help you focus on what’s important for your financial security, from yearly tax organizers to extensive software compatibility. Even if you’ve always used the infamous “shoe box” approach, we can help you sort it out without pulling your hair out at tax time. Plus, we keep you informed about how current tax laws or revisions affect you personally, so you won’t worry needlessly. We also offer something you might not expect: caring, compassionate people who really listen to what you have to say. Our staff is dedicated to making each experience you have with us personal, pleasant and non-stressful. We work hard to put you at ease and take the mystery out of tax planning, so you won’t ever have to face that dreaded “April 15th Surprise”. Large or small, running a business these days calls for a steady hand. When you’re with Plumb & Associates, you’re never alone. We can help you gain new perspectives on how to navigate the decisions that most directly affect your bottom line, such as strategic tax and business planning, management assessment, expansion and equipment purchase, consolidation and critical market alignment. We’ll be there to offer sound advice and encouragement, because we don’t just want you to succeed, we want you to prosper. Just like people, businesses have different needs at different stages in their development. Whether you’re just getting started or starting to go global, we’re ready to help. Our years of experience working with all kinds of businesses can keep you moving toward the future with confidence and enthusiasm, even when times are tough. Helping family-owned businesses grow is our specialty at Plumb & Associates, because we never forget the courage and commitment it takes to launch a new idea. Our extensive network of financial, legal and investment professionals provide you with virtually unlimited resources for business information that is personalized for your specific situation. And when it’s time to sell or hand over the reins to the next generation, we’ll be with you to help make the right choices and the best decisions about succession and estate planning. You have our word on it. For more information about how Plumb & Associates can become your business partner, give us a call or go to Contact Us on this website. We’ll set up a meeting to look at where you are now and where you want to be. Scott is a Certified Public Accountant. Currently he serves as a director on the board of Numerica Credit Union. Scott is a past president of the Spokane Chapter of the Washington State Society of CPAs. He is also the current president of the Spokane Referral Network. Scott also has served on other non-profit boards. He has devoted many years to the Boy Scouts of America. Scott attended the University of Nevada and graduated from the University of Phoenix. He received his Executive MBA from the University of Idaho in 2013. Scott currently teaches as an adjunct for Whitworth University in accounting and taxation. He really loves giving back to others through his teaching. 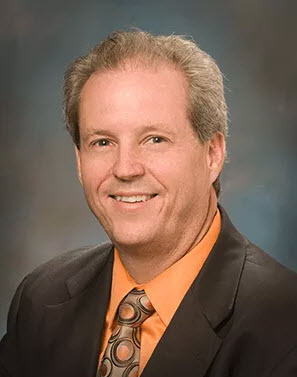 Scott grew up in Las Vegas where he had an accounting and taxation practice for over 20 years. He and his wife raised six children and have six grandchildren. Scott has lived in Spokane Valley since 2005. During his spare time, he enjoys traveling, gardening, playing with grandchildren, and spending quality time with his wife, Liz. 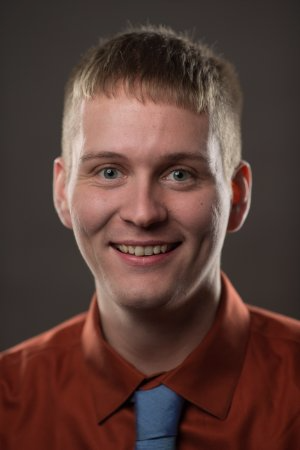 Bob attended Brigham Young University – Idaho and graduated with is Bachelor’s in Accounting in 2014. He then went on to earn his Masters in Accounting (MAcc) from the University of Idaho in 2015. Upon graduation he moved up to Anchorage, AK to work for KPMG for 2.5 years. He decided that is was time for a change of pace and decided to join Plumb & Associates in October 2017. Bob moved to Spokane Valley in 2005 with his family and graduated from Central Valley High School in 2008. During his spare time, he enjoys watching movies, playing with his nieces, and spending time planning his next vacation to Disney World with his wife, Heather.